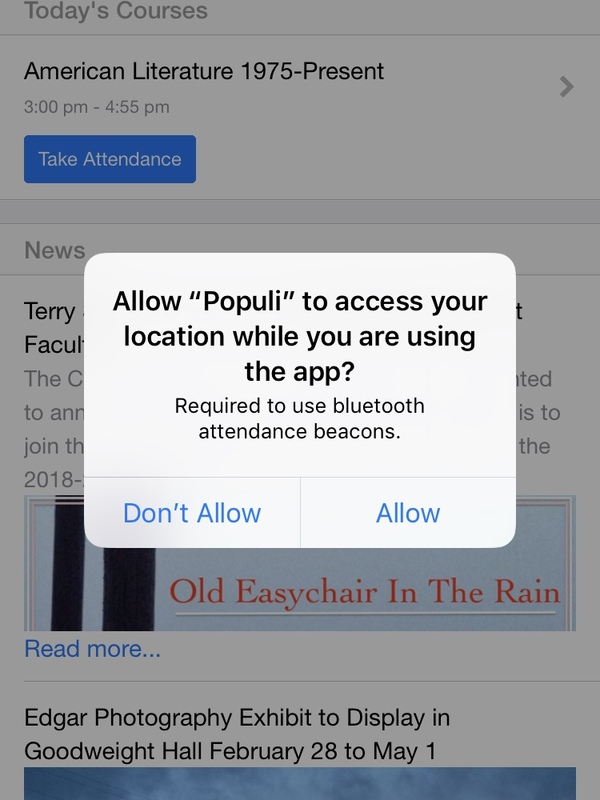 Populi's mobile apps for iOS and Android let you "check in" for course attendance by using your phone's Bluetooth beacon function. Here's how it works. Populi uses your phone's Bluetooth radio to detect your instructor's own Bluetooth-enabled devices running a Populi mobile app. In order to do this, you need to grant the app access to your phone's location. All you need to do now is show up to your class (with your phone, of course!). 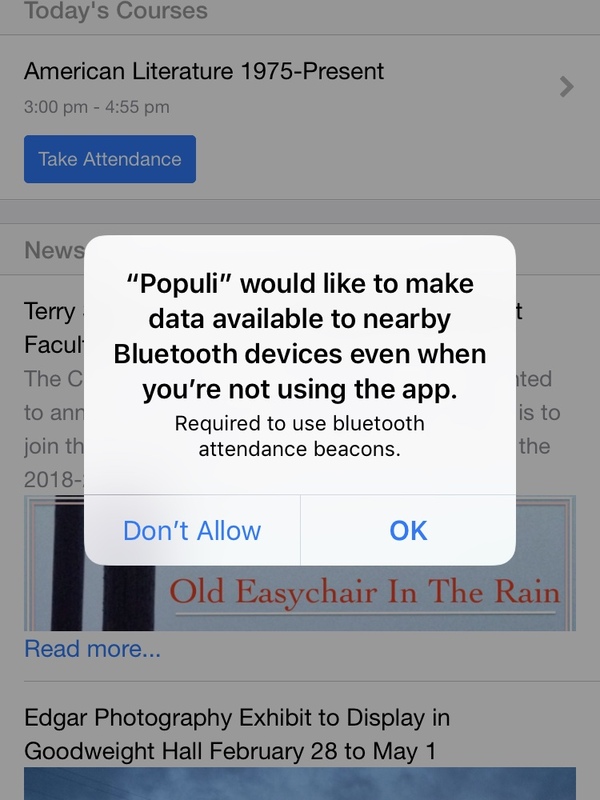 Your professor starts the Bluetooth attendance beacon on his device. Open the app on your phone (log in if necessary). 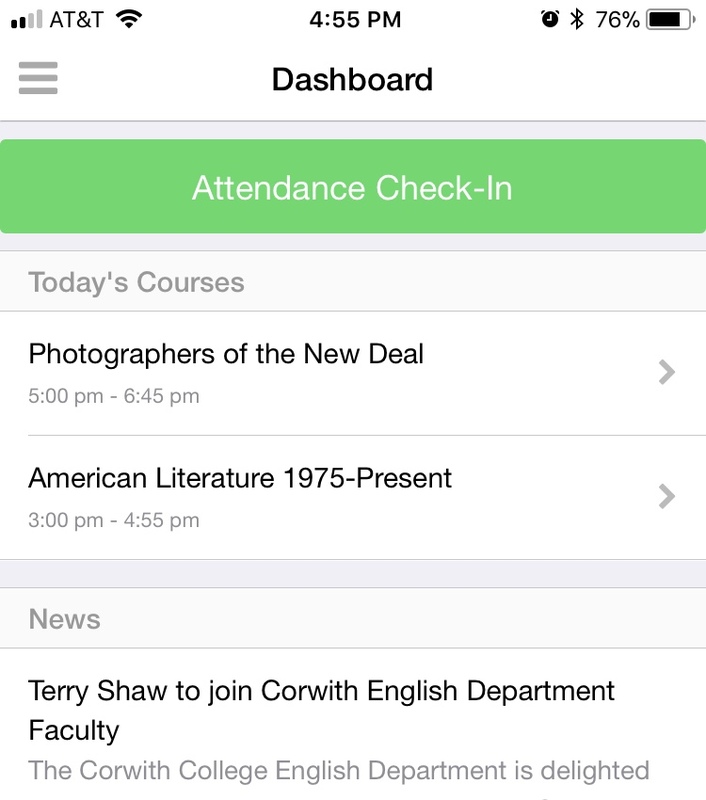 The app dashboard will show you an Attendance Check-in button. Tap the button. Provided you're in proximity to the professor's device, the app will record your attendance. Could not find account with that URL. I just downloaded the app. At the beginning it asks you to put in the name of your school. I have tried several different variations of the school name and it will not allow me to enter the app. It says could not find account with that URL. There is no instruction on this part of the process on this tutorial. Thank you Ariel, I thought I was the only one !